- A physician is called to evaluate a patient with ARDS due to peritonitis after bariatric surgery. - He is sedated (RASS = -3), hemodynamic stable and with a distended abdomen. 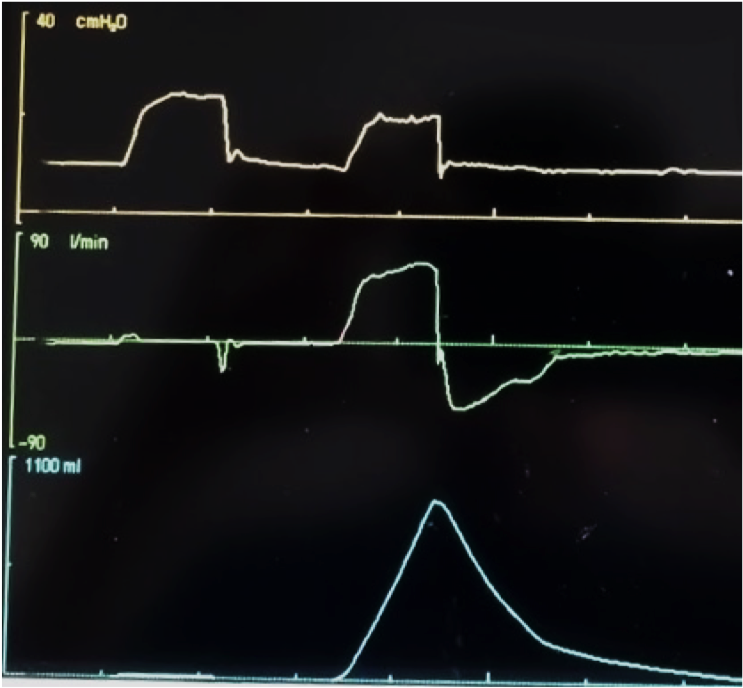 - See below the pattern of the ventilator curves that were present repeatedly. 2. What would you do to solve the problem?